Our ex-colleague just gave birth last May. So, my friend invited a few of us to donate money for her present. I agreed to join the allies and asked to pay around rm100+. I paid. So, one person was given the task to buy the present. See..what she bought. The number of people in the allies is similar to the toy above. I wonder if it represents each of us. If that's so, I wanna be the cow! haha. 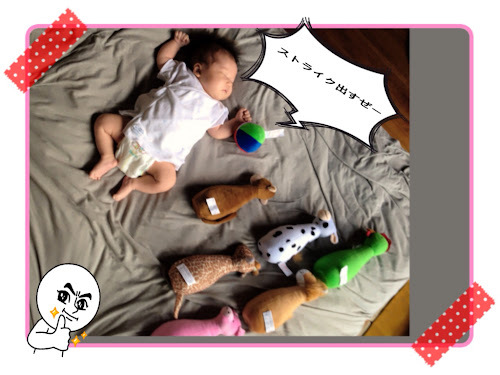 By the way, congratulations to Takasue sensei for the born of adorable Meiko!